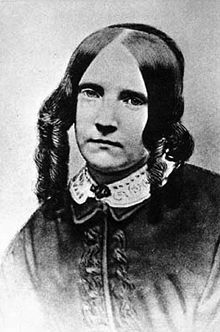 Eldest daughter of James Fenimore Cooper and a distinguished writer and naturalist. Elinor Wyllys or The Young Folk of Longbridge (1846), Volume 1 & 2, a novel. Female Suffrage: a Letter to the Christian Women of America, Harper's New Weekly Magazine, Vol. 41 (June--November, 1870). A reasoned argument against giving women the right to vote.